Jack White is a genius. 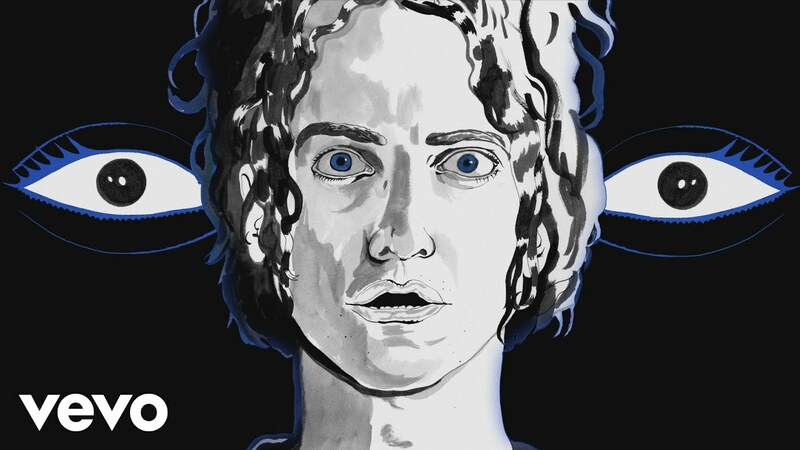 Here we bring you an animated music video for his song “That Black Bat Licorice” from the album Lazaretto. John Anthony White (né Gillis; born July 9, 1975[) is an American singer, songwriter, multi-instrumentalist and producer. He is best known as the lead singer and guitarist of the duo The White Stripes, but has also had success in other bands and as a solo artist. White has enjoyed consistent critical and popular success and is widely credited as one of the key artists in the garage rock revival of the 2000s. He has won twelve Grammy Awards, and all three of his solo albums have reached number one on the Billboard charts. Rolling Stone ranked him number 70 on its 2010 list of “The 100 Greatest Guitarists of All Time”. David Fricke‘s 2011 list ranked him at number 17. After moonlighting in several underground Detroit bands as a drummer, White founded The White Stripes with fellow Detroit native and then-wife Meg White in 1997. Their 2001 breakthrough album, White Blood Cells, brought them international fame with the hit single and accompanying music video “Fell in Love with a Girl“. This recognition provided White opportunities to collaborate with famous artists, including Loretta Lynn and Bob Dylan. In 2006, White founded The Raconteurs with Brendan Benson, and in 2009 founded The Dead Weather with Alison Mosshart of The Kills. In 2008 he recorded “Another Way to Die” (the title song for the 2008 James Bond film Quantum of Solace) along with Alicia Keys making them the only duet to perform a Bond song. On April 24, 2012, White released his debut solo album, Blunderbuss. His second studio album, Lazaretto, was released on June 10, 2014. His third studio album, Boarding House Reach, was released on March 23, 2018. All three records received wide commercial and critical acclaim. White is a board member of the Library of Congress‘ National Recording Preservation Foundation. His record label and studio Third Man Records releases vinyl recordings of his own work as well as that of other artists and local school children. Lazaretto holds the record for most first-week vinyl sales since 1991. White has an extensive collection of guitars and other instruments and has a preference for vintage items that often have connections to famous blues artists. He is a vocal advocate for analog technology and recording techniques. White values his privacy and has been known to create misdirection about his personal life. He and Meg White married in 1996, but divorced in 2000 before the height of the band’s fame. They then began calling themselves siblings. He was later married to model and singer Karen Elson from 2005 to 2013; they have a son and daughter. He currently resides in Nashville, Tennessee. Animated video directed by James Blagden, produced by Chris Isenberg & Zein Zubi.